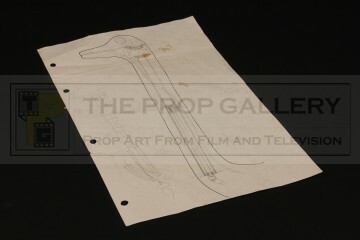 An original concept artwork used in the production of Willow, the 1988 fantasy picture starring Warwick Davis and Val Kilmer under the direction of Ron Howard. This concept artwork was created at Industrial Light & Magic during the production of the visual effects work for the pioneering morphing sequence which sees Willow (Warwick Davis) restore Fin Raziel (Patricia Hayes) from a goat to her human form. 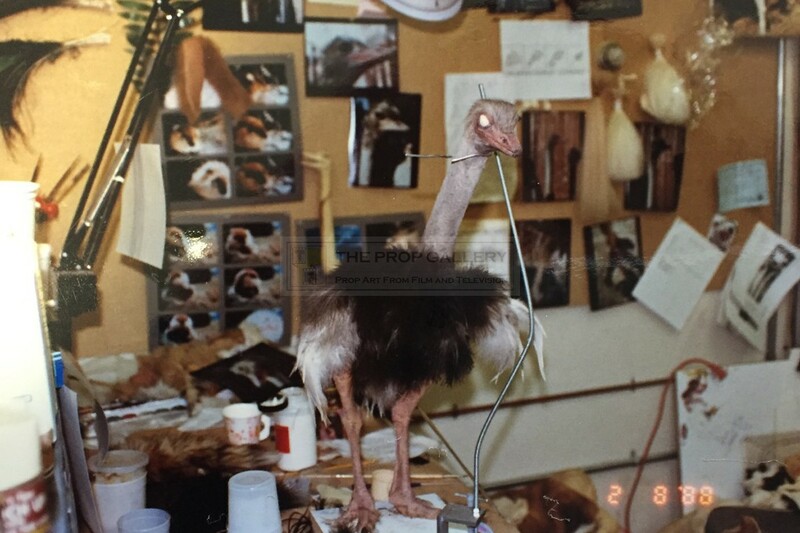 The sequence proved extremely difficult to achieve as various seamless transformations were required between the creatures which included a goat, ostrich, turtle and tiger. 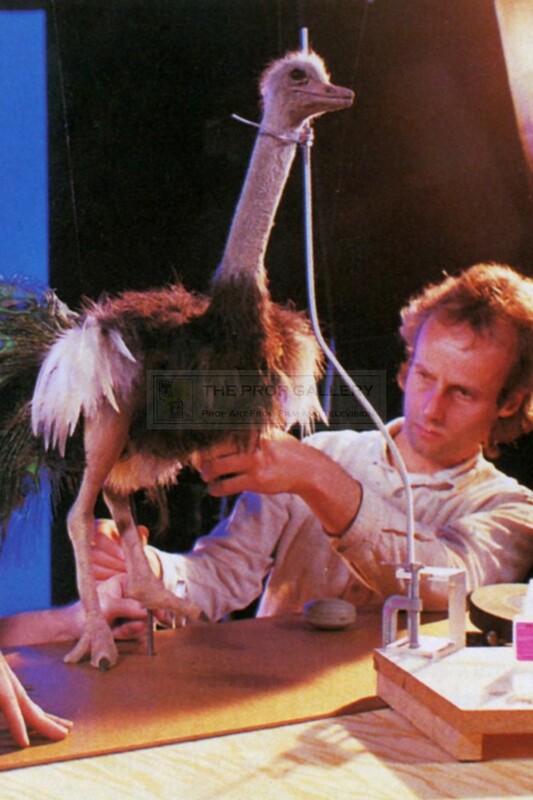 Several traditional methods were considered for the sequence including stop motion animation and optical tricks but with visual effects supervisors Dennis Muren, Phil Tippett and Michael McAlister keen to produce a truly revolutionary effect a new and groundbreaking approach was adopted. 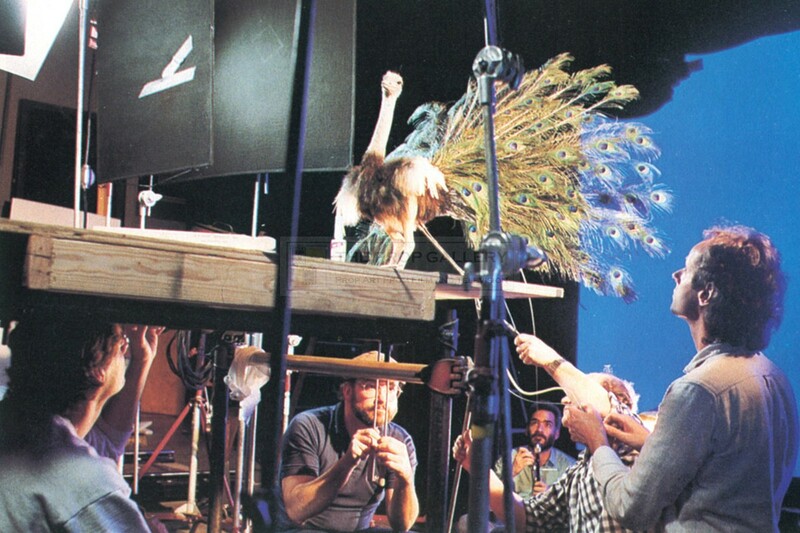 Ultimately puppets were created which could be operated and photographed against bluescreen with the background being digitally extracted and inputted to a software program developed by Doug Smythe which was able to process the images and morph them seamlessly in to continuous footage. 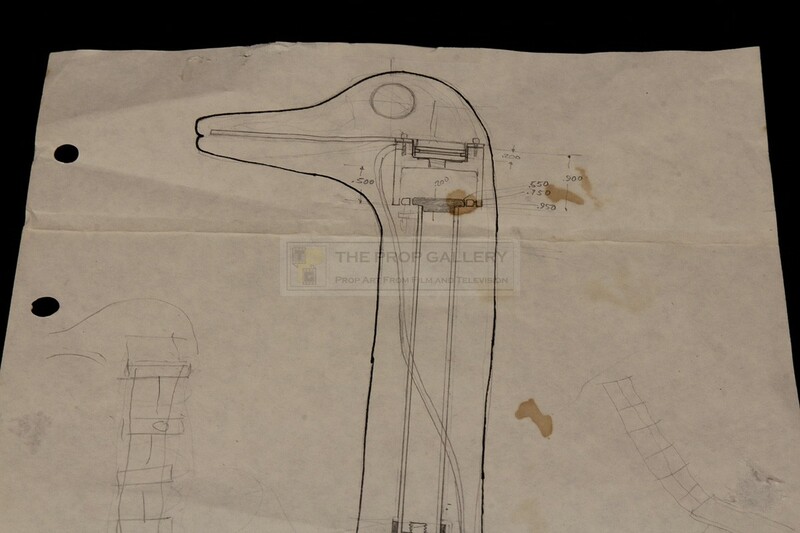 This breakthrough in computer generated imagery would prove to be instrumental in the widespread use of CGI for special effects and saw Dennis Muren, Michael McAlister and Phil Tippett nominated for the Academy Award for Best Visual Effects. This concept artwork was created during the production of the ostrich puppet used in the morphing sequence and is a design of how the internal armature of the puppet would be constructed and operate. 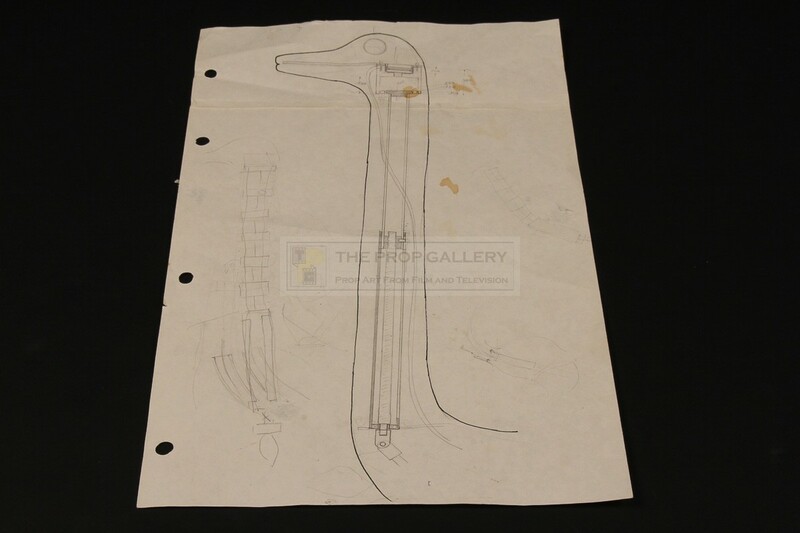 The artwork is accomplished in pencil and pen in an unknown hand and features and outline of the ostrich head and neck with a more technical drawing of the internal armature and the mechanism to operate the articulating beak of the puppet which includes various measurements, a second drawing to the left shows a rough interpretation of the articulating neck. 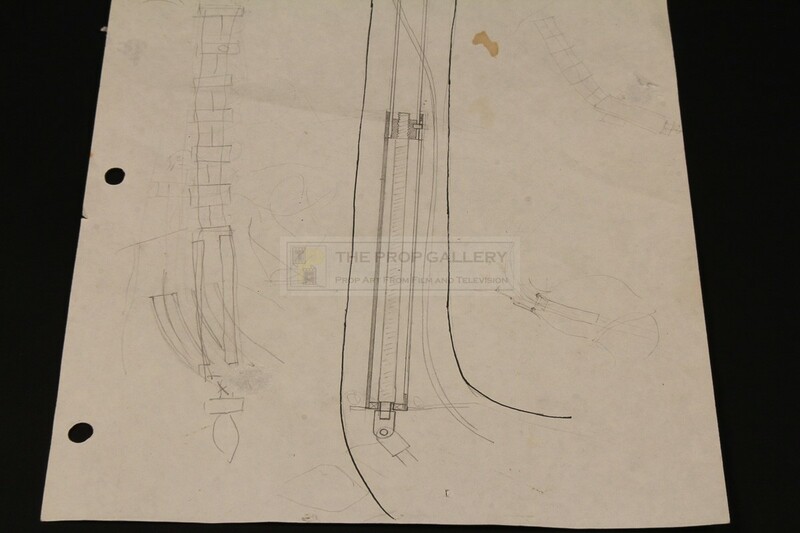 The concept artwork measures approximately 14" x 8.5" and remains in excellent production used condition with some edge wear, a fold line and minor staining. A fine example of original Industrial Light & Magic concept artwork used in the groundbreaking morphing sequence of this fantasy classic.